On World Refugee Day, 20 June, the International Olympic Committee (IOC) and the United Nations High Commissioner for Refugees (UNHCR) commemorate over 50 million people around the world forced to flee their homes. Thirty million of these refugees and internally displaced people are under the age of 18, and consequently are all too often deprived of their childhoods. Such is the story of 18-year-old Nyamuoch Nhial Yang. 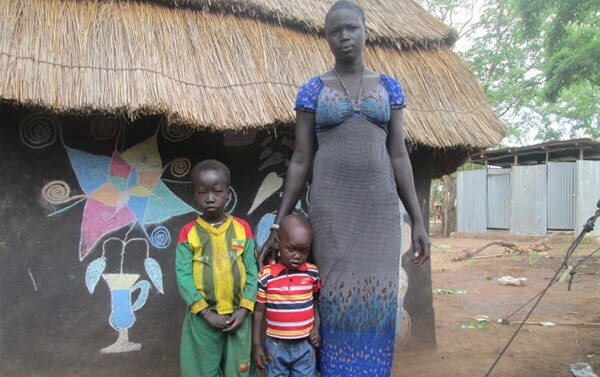 South Sudanese, she was forced to flee her home last year following the insurgency that broke out in her country and which left her and her three younger siblings orphaned. Today, Nyamuoch and her three brothers aged between two and four have found asylum in Ethiopia’s Kule Refugee Camp, where the IOC Honorary President and UN Secretary-General’s Special Envoy for Youth Refugees and Sport, Jacques Rogge, recently concluded a mission. The crisis has devastated this young woman’s life, disrupted her education, and left her to care for her siblings alone. Despite the challenges and heartache, Nyamuoch has found one outlet that momentarily relieves her pain and enables her to be an 18-year-old girl engaged in a fun and productive activity with other young people her age: sport. An ordinary young woman living through extraordinary times, Nyamuoch’s story is just one among scores and scores of others. The IOC and UNHCR have long recognised the importance of sport and recreational activities for children’s well-being and development, especially refugee children. For the past two decades, the two organisations have been working together to offer refugee children some relief and enjoyment. With the first sports projects initiated in Kenya and Nepal in the mid-1990s, the success of these programmes has since spurred further action in Africa, Asia, the Balkans and Central America. From delivering sports kits to funding multi-sports playgrounds in camps, the IOC remains committed to helping young refugees achieve a greater sense of community, belonging and hope. 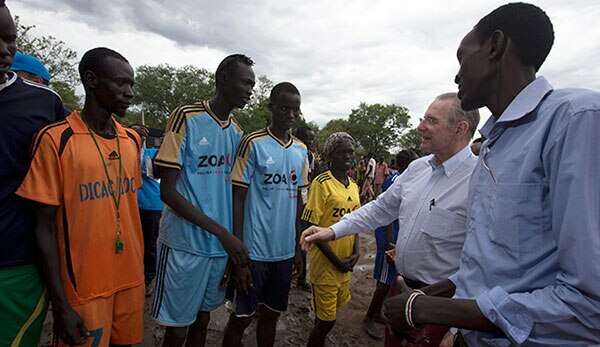 Last year’s nomination of IOC Honorary President Jacques Rogge as Special Envoy of the Secretary-General for Youth Refugees and Sport is a further means to help raise the profile of youth refugees and the impact of sport as a tool for peace, development and an inclusive society. Sport is much more than simply physical activity. It has a unifying power, bringing people together around a common goal. It allows people to push the boundaries of physical and mental endurance. It helps build confidence and character. It provides a distraction from the sometimes harsh realities of everyday life, especially for young refugees like Nyamuoch. Visit www.unhcr.org/refugeeday for more information on World Refugee Day.